Telephone Business Systems Website - Designed the website look and feel to work on all devices (desktop, tablets and mobile). Optimized website for high search engine rankings and set up website visitor tracking. This company is a full service, one-stop communications provider. 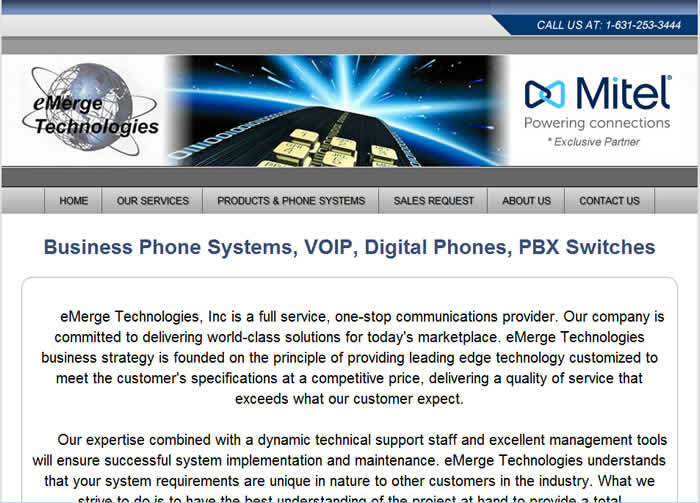 They are a distributor for medium/large phone systems.